Calm-Abiding (shamatha) and Special Insight (vipashyana) are two of the three principal aspects of the Buddhist path (the other being ethics). Calm-Abiding is the practice of developing single-pointed concentration, resulting in a calm, clear and focused mind that can be used as a basis with which to conduct special insight—the investigation into the ultimate nature of reality. Special Insight confronts the distorted view of reality that we share. The Buddha said these distorted views arise from our mental afflictions—such as attachment and anger—which are the root causes of our suffering. This distorted view of things leads to craving and attachment to the things we like and aversion to the things we don’t like. This in turn often leads to frustrations and dissatisfaction – the fundamental suffering nature of all things. Mere shamatha is not sufficient for achieving either individual liberation from samsara or the Mahayana goal of perfect enlightenment for the benefit of others. Nor can those final goals be achieved by vipashyana alone. Tsongkhapa says that if it is dark and you want to see a painting clearly, then you need a butter lamp that both shines brightly and is undisturbed by wind. If the lamp is bright and clear but flickers in the wind, then you will not be able to see the painting clearly. If there is no wind, but the light from the lamp is weak, then you will not be able to see the painting clearly. In the same way, you can cultivate an understanding of emptiness – the ultimate nature of reality – using inference and logic, but the profound truth of emptiness is much clearer when seen through meditation. To have a direct realization of emptiness, you must have the very deep and profound meditation where all other senses, sense consciousnesses, and thoughts stop, so that only one consciousness – the wisdom penetrating to the depths of the truth – remains. Only if you have the unshakable stabilization of shamatha combined with penetrating insight of vipashyana can you see reality clearly. Training in the Mind of Calm Abiding, Geshe Lhundub Sopa, Mandala magazine article. Calming the Mind, Gen Lamrimpa. Both of Gen Lamrimpa’s books are short, very readable and crystal clear. Geshe Gelek Chodha was born in Sikkim, the oldest of five children. 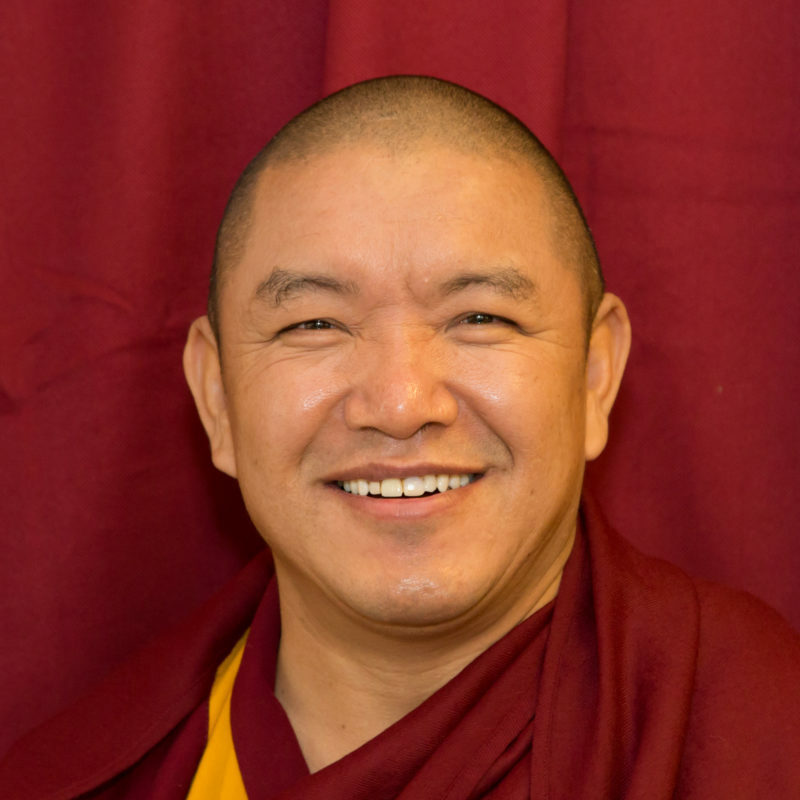 At the age of seven, Geshe-la went south to live at Sera Jey monastery and become a monk. He achieved the degree of Geshe Lharampa in 1997, continuing on to the Gyumé Tantric College to learn the intricacies of tantric rituals. 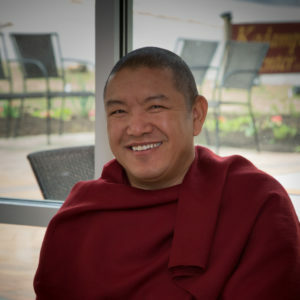 Kyabje Zopa Rinpoche—at the suggestion of Geshe-la’s classmate Yangsi Rinpoche—requested Geshe-la to come to Kadampa Center in Raleigh, NC as resident teacher in 1999. Since then, the members of Kadampa Center have been privileged to have Geshe-la as their spiritual friend while he teaches the Buddha Dharma with sincerity, humor, and patience. His accessibility and constant experimentation with recently-acquired English idiomatic phrases is eternally endearing to his students. In addition to Kadampa Center, Geshe-la teaches regularly in Latin and South America and Europe.